Guest Houses Free State contact details. 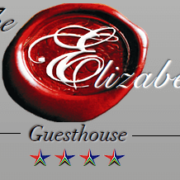 On the Guest Houses Free State page you will find all the information you need to deal direct with the establishment of your choice. Looking for Guest House Accommodation? Trying to find a Guest House? Browse our Guest Houses in South Africa. Book direct with your preferred Guesthouse and save. Accommodation available at Guest Houses in South Africa. Arum lily Eloff is situated in Eloff, located 6km from Delmas. This Guesthouse is ideal as a comfortable stopover for guests! Hidden Grace is a Breathtaking Guesthouse & Wedding Venue in Parys. Come and enjoy a wonderful stay! Pluvio is Brand New Luxurious Guesthouse in Parys. Come and Experience a memorable stay at this Beautifull Guesthouse . The town of Clarens is known as “The Jewel of the Free State” and is a must-see on any Free State trip. Take a walk down the main street and sample eateries, art galleries and arts & crafts shops galore. If you enjoy the outdoors, you’re in for a treat – experience white water rafting, 4X4 safaris, horse trails and hikes in a truly spectacular landscape. Situated in the heart of Bloemfontein, Naval Hill is one of a kind. It contains a 6.5m-high statue of Nelson Mandela, two historic British naval guns, the famous White Horse sculpture, a theatre, a brand new digital planetarium…and a game reserve! The 250 hectare Franklin Game Reserve is one of only two nature reserves in the world to be located in the middle of a city. The Gariep Dam is a staggering 100km long and 24km wide. Take a guided tour through the passages inside the wall of South Africa’s largest dam, or sample the many water sport activities on offer: fishing, windsurfing, sailing, jet skiing, canoeing, rowing…and even game-viewing by boat! That’s right – there’s a well-stocked 11,237-hectare game sanctuary on the dam’s northern shore. If you’re visiting in February, don’t miss the annual Gariep 500 Rubber Duck Race and Water sport Festival. The oldest and largest crater on earth, the Vredefort Dome was caused when a massive meteorite struck the earth 2,000 million years ago. The force of the impact caused the rock layers to ‘bend’, resulting in a semi-circular ring of mountains that are home to abundant bird and plant life – and the world’s only pink granite. Both Parys and Vredefort are located within the Vredefort Dome’s original impact area. Located Guest Houses Free State and spend sometime visiting the above points of interest.